The fate of Canada's 121-year-old ban on polygamy is in the hands of a B.C. judge, after months of landmark hearings wrapped up Friday. But whatever the court ultimately decides, the hearings also revealed allegations of child trafficking and abuse that could result in criminal charges regardless of what happens to the polygamy law. B.C. Supreme Court Chief Justice Robert Bauman spent several months hearing testimony and legal arguments about whether the prohibition on multiple marriage is constitutional, and much of the case focused on allegations of abuse in the small religious commune of Bountiful, B.C. The court heard evidence that teenage girls were taken across the Canada-U.S. border to be married, prompting RCMP in January to announce a renewed criminal investigation into the community about 1,000 people in southeastern B.C. Seized church records outlined more than two dozen such marriages involving girls as young as 12, who were moved to the U.S. to marry older men. Several girls from the U.S. were also married to men in Bountiful, according to the documents. It's not clear when the RCMP investigation will be finished. Bauman's decision is likely months away, with some observers predicting it will eventually end up at the Supreme Court of Canada. The competing legal processes — one a constitutional court case, the other a police investigation — reveal the one of the major issues in the case itself: Is the polygamy law necessary, or even effective, to prevent abuse? Janine Benedet, a law professor at the University of Victoria who has been following news coverage of the case, said laws against sexual exploitation and human trafficking have been unable to address abuse in Bountiful, despite various investigations during the past two decades. "We've had that evidence for years in different forms, we've had women from that community come forward and make allegations that they or their children were abused, we've had ample evidence about problems with the educational system, evidence of movement across borders," Benedet said Friday as the last arguments were made in court. "And the response from the authorities has always been, 'Well, closed communities are difficult to get evidence.' That, in and of itself, should make us want to put some effort into that." The provincial and federal governments have pointed to that inability to lay charges, under the polygamy law or any other, as a reason to uphold the multiple marriage ban. The polygamy law, the governments say, is the only way to prevent and punish such crimes in a closed religious community that shuns outside scrutiny and where the plural wives themselves are unwilling to co-operate with police. Challengers say the Criminal Code covers offences such as sexual exploitation, human trafficking and kidnapping. Polygamy, they claim, isn't the issue. The constitutional case was prompted by the failed prosecution of two men from Bountiful who were charged in 2009 with practicing polygamy. 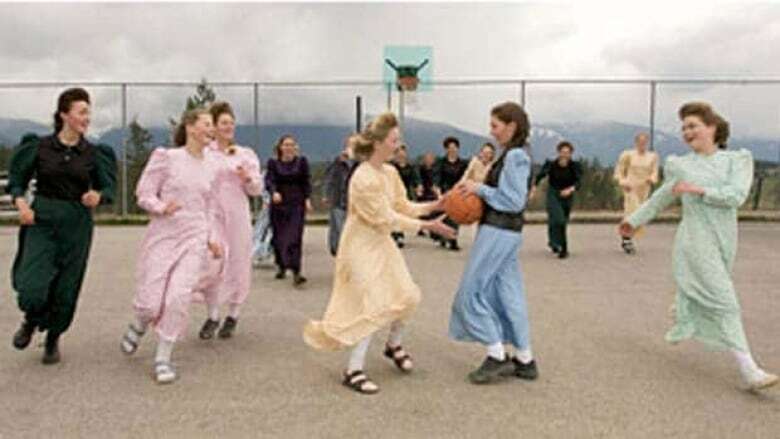 Residents follow the Fundamentalist Church of Jesus Christ of Latter-Day Saints, or FLDS, which, unlike the mainstream Mormon church, holds polygamy as a tenet of the faith. The hearings focused heavily on life in Bountiful, where government records reveal high rates of teen pregnancy and marriage, and low enrolment at two publicly funded schools. Court heard stories of psychological control, physical violence and sexual abuse from former residents. The case also featured contradictory evidence from academic experts on whether those harms are the predictable, inevitable outcome of polygamy. Three women living in Bountiful, two of them married, testified anonymously, telling the court they were happy and chose to live as "celestial" wives. However, some of them told court about 15-year-old sister wives and being married to the same men as their own sisters by blood. Mary Ellen Turpel-Lafond, B.C. 's representative for children and youth, said she's been watching the case and has an "open file" on Bountiful. Turpel-Lafond said she was pleased the B.C. government has been fighting hard to keep the polygamy law on the books, though she wants to hear what the province's Children Ministry plans to do about what's happening in Bountiful — regardless of the polygamy law. "I'm very pleased that evidence has been brought forward, it's something that's concerned me and, with all the stops and starts this has had, finally it's had a public airing in an independent setting," she said. "And there is a need to do child welfare investigations in these areas and to make sure we have a strong process to do that, and that standards that we have for children have to apply across the board, no matter what your religion."